Two new TV spots are now available for director Jon M. Chu’s G.I. Joe: Retaliation. The teasers feature Roadblock (Dwayne Johnson) explaining the concept of a fist and reminding the Joes to act like gentlemen, much to the enjoyment of Lady Jaye (Adrianne Palicki). 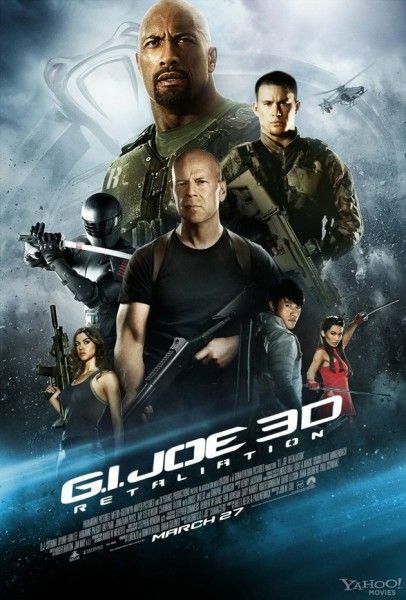 Also starring Bruce Willis, Ray Park, Lee Byung-hun, Channing Tatum, RZA, Elodie Yung, Walton Goggins and Ray Stevenson, G.I. Joe: Retaliation opens March 29th. Hit the jump to watch the new spots.